The Wildlife Corridor vision relies heavily on collaboration among the state’s citizens. We encourage artists and communicators to apply their talents to telling Florida’s stories to engage the public in preservation of landscapes critical to biodiversity and quality of life for all. Throughout Florida, there are visionaries exploring and explaining the natural and cultural heritage they encounter. On this site we feature some of the rich efforts of the past, and the emerging voices for Florida’s future. We encourage you to spend some time with the stories and images shared by these artists, authors, historians and characters. Please share these messages widely. 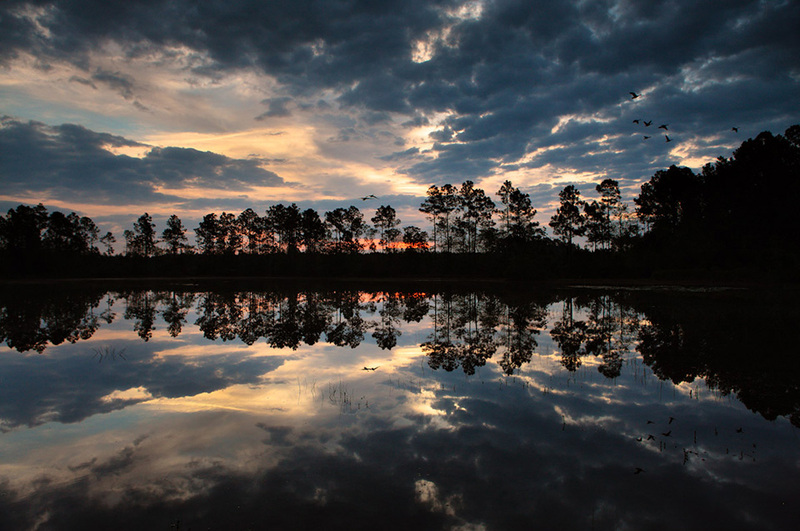 John Spohrer shares the color and light of the sunrise over a pond within the Camp Blanding-Raiford Greenway, on of the “Missing Links” of the Corridor. 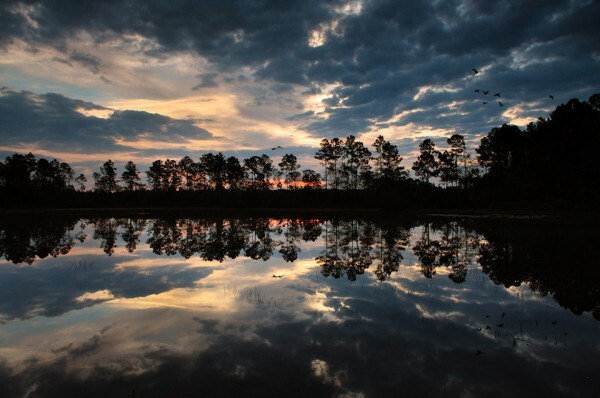 We hope you decide to lend your voice to help make the Florida Wildlife Corridor a reality. We are looking for outstanding images from the Corridor. Please email your image, including locations to geographically orient your work and caption information to floridawildlifecorridor@gmail.com. We will assess it for addition to our Voices of the Corridor Facebook album and it will then appear on our website.